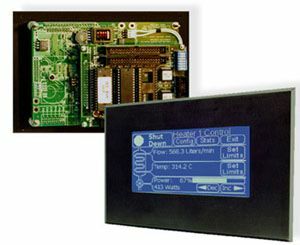 The Panel Touch Controller is a legacy product not available for new customers. If you're looking for a HC11-based integrated touchscreen controller programmable in C or Forth, consider Mosaic's QScreen™ Controller, which is compatible with our all of our Wildcard™ Modular I/O Boards. 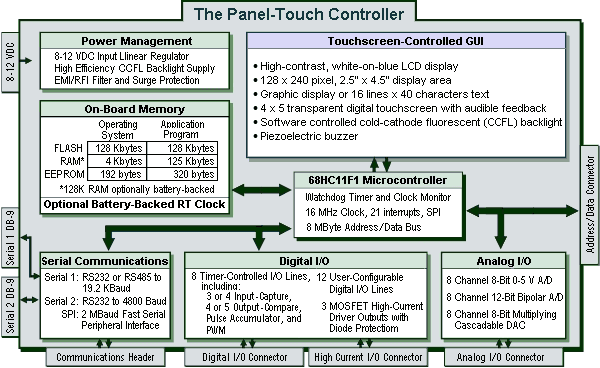 For existing customers looking for Panel Touch documentation, see a summary of specifications below, or download full documentation PDF files here. Copyright © 2012 Mosaic Industries, Inc.